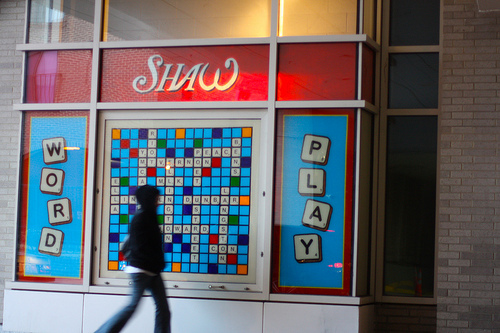 PoPville » Please Let This Scuttlebutt Be True: Bowling Alley Coming to Shaw? Please Let This Scuttlebutt Be True: Bowling Alley Coming to Shaw? This is the best scuttlebutt I’ve heard since we learned Trader Joe’s was coming to U Street. Though, I’d only give this one a 25% chance of happening but what the hell, it’s Friday and it is too sweet not to share – I hear a bowling alley is looking for a space to open up in Shaw. This could finally begin to fill the void we’ve felt since we lost the Arcade way back in the day. But I’m having a tough time visualizing where this could happen. Can you guys think of any space big enough to hold a bowling alley in Shaw?